At the moment I am living own my own and rarely home. I stay to my partner’s place 3-4 times a week. 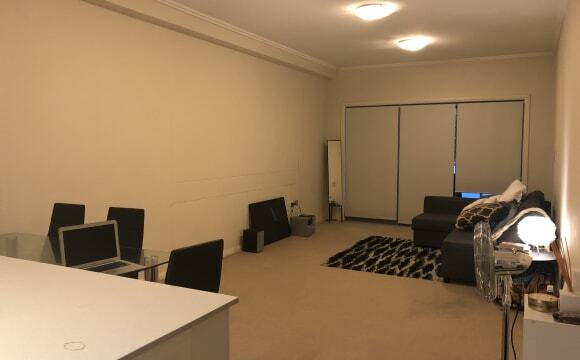 I have a busy lifestyle so most of the time I am out and about and I organise social meetup for international language exchange every Tuesday in the CBD I am looking for a mature flatmate to share fully furnished townhouse 3 bedrooms 2 toilets at the quite suburb of Wahroonga. The street is in between Hewitt Street/Osbourne Street Wahroonga. The bedroom has king single bed with small built in wardrobe shared toilet and bathroom. 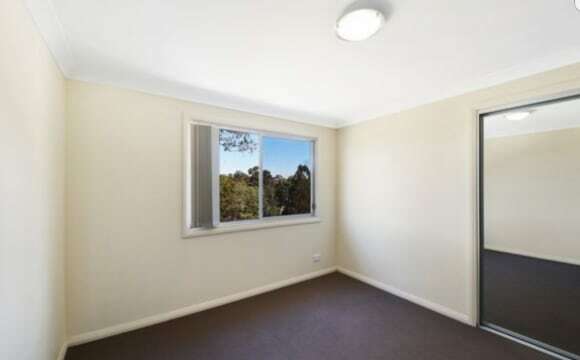 Would also suited students 20 minutes drive to Macquarie University M60 bus is just a door step of the house and goes to Hornsby/Waitara/Wahroonga and Turrumarra station. 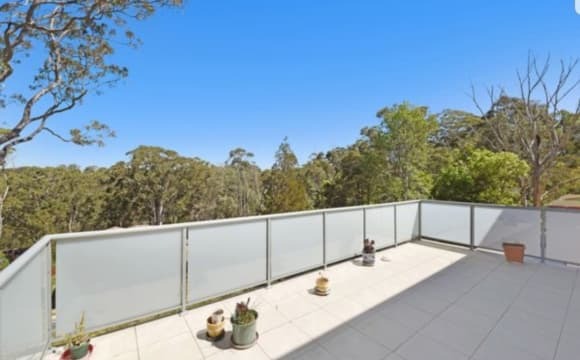 5-10mins walk to Normanhurst station. 5mins drive to Wahroonga/Hornsby station. 10 mins drive to Hornsby Westfield shopping centre, 20 mins drive to Macquarie and 30 mins drive to Chatswood Shopping Centre. Shared kitchen, laundry and lounge that has a cable TV non smoker, no pet allowed as I have a 10 years cat that live outside the house most of the time. I am quiet and respectful. I like to have fun but I’m busy almost everyday. You might hardly see me at home. Local area has Mountain Bike Trails, Driving range, Woodland Walks, Swimming and nice Cafe's. A 5 min drive to Hornsby Train Station and Westfields etc …. (Normanhurst Stn. much closer ). Potential to be included on the lease if desired. 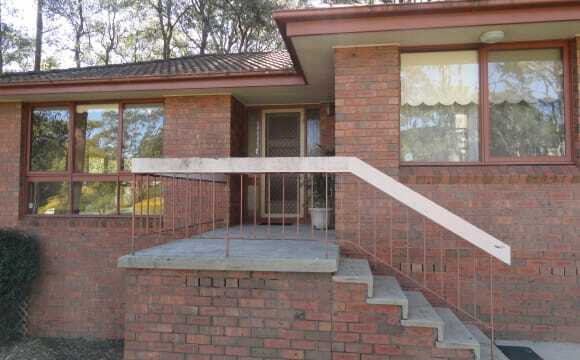 This cul-de-sac property has low volume traffic and is therefore easy to park outside the door. You get your own bedroom and the main Bath/shower room and toilet across the hall is all yours. Choice of room with built in wardrobe's, there's heaps of cupboard space in the kitchen too. 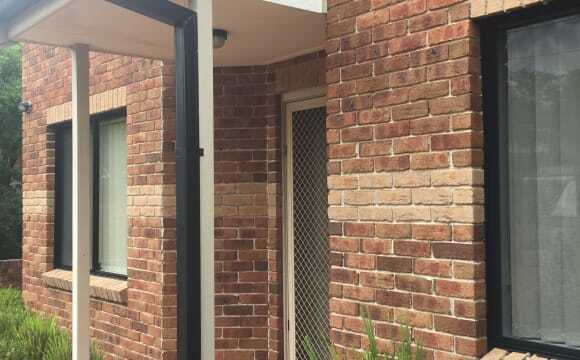 Living area's are shared though the house has potential for separate TV rooms if necessary Buses are close by, an easy 15min walk to Normanhurst Train Station and not far to the Hospital on Fox Valley. Option of larger Ensuite room at the far end of the house suited for a couple .. POA . If you have a friend looking to share, there are two rooms available ..
My place is a two level house and this room is at upstairs. Very big room with queen size bed, couch and big wardrobe. There is a separate bathroom upstairs too. Kitchen and washing machine are downstairs. Convenient traffic to Hornsby and Normanhurst Train Station. Time to Normanhurst Station by bus is 5 minutes, or 15 minutes walk. Bus station is just at front door! Welcome!!! 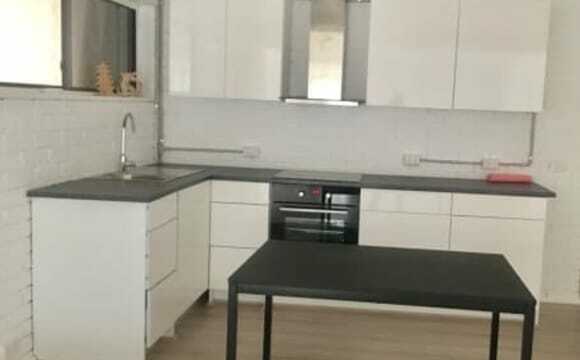 We are offering a bedroom in a newly renovated self contained 2 bedroom unit (87 square metre floor space) attached to larger house with separate entrance. New bathroom and kitchen, with spacious living-room area. The bedroom comes furnished. It is located in a very peaceful neighbourhood with lots of greenery. Short 600m walk to supermarkets (Woolworths and Aldi), local cafes, restaurants, and parks. 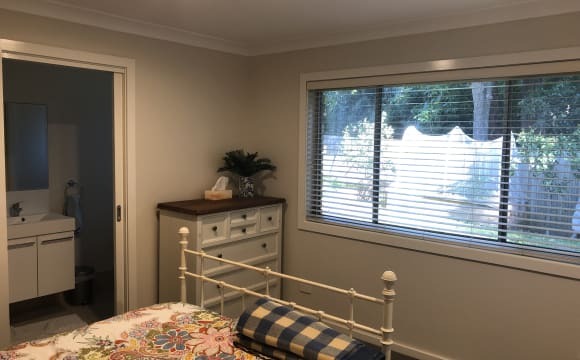 Located close to Thornleigh railway station (10 minute walk) which provides quick access to Macquarie University (14 min train ride), Hornsby (7 min train ride), Epping, Strathfield, and the city. I am a full time worker, Extremely clean and very communicative. I always pay on time. Loves an easy lifestyle. I do art music and go to the beach. No pets, don’t smoke, likes an occasional drink. 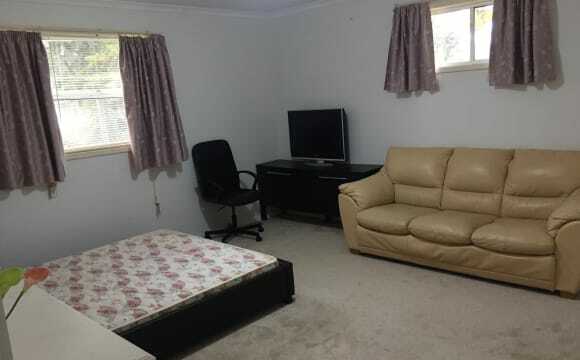 2 bed 2 bathroom apartment, available is the bigger room with ensuite. 10 minute walk to Wahroonga station and shopping village. Current flatmate moving to live with her boyfriend. Happy for both male and female flatmates. Gas cooktop. Ducted air con. Fridge and washing machine already here. Room comes unfurnished. Internet already setup, happy to split costs if required. Any questions hit me up! It’s 2mins drive to the train station. Close to the shops. Heaps of nice coffee shops within the area. Close to the park. Own parking space. Mature FEMALE only. 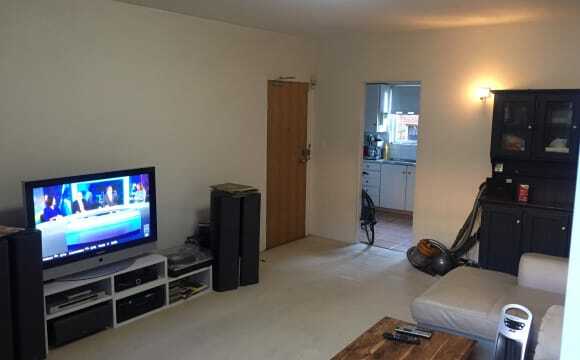 Quiet apartment, even though it's very close to train station/bus. Has an out door swimming pool. 10 minute walk to Westfield. popular hotel nearby, restaurants, sporting oval and popular gym nearby. 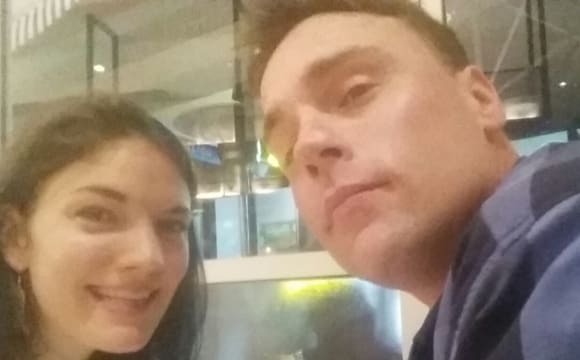 I've shared with heaps of men, now I'd like a change and see what it's like to share with a mature FEMALE. 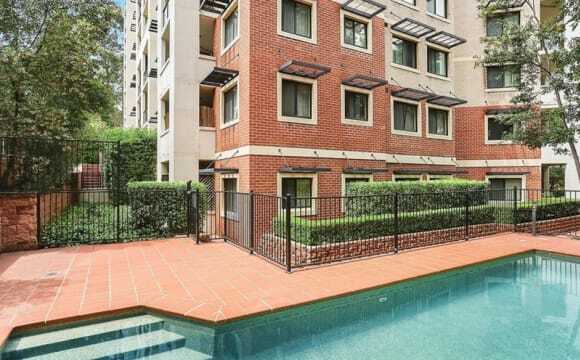 This apartment is a 7 min walk to Hornsby station, and Westfield. The apartment is secure with swipe key access into the property and also has a lift. There is off street parking available, it is undercover as well. The balcony overlooks the pool and Kitchen is fully equipped + has a dishwasher. The entire apartment is fully furnished with the exception of Bedroom 2 (which is the room for rent - refer floor plan pic). Bedroom 2 is a decent size and Features a large built in cupboard. The main bathroom is entirely yours only. I also recently painted the entire apartment so it’s nice and fresh. The laundry is also fully equipped with a washing machine and dryer. Netflix and internet is available. Master Bedroom with ensuite available in a townhouse with modern kitchen and gas cooking. Convenient location and 2 car garage.  Walking distance to parks, train, service station. Friendly group of 6 townhouses. The room is unfurnished, the house is not. The house will be shared by you and 4 others, each with their own room. Everyone in the house works 60 hours a week and 3 of the occupants leave it on their break. Not a party house as there are 2 shift workers frequently on nightshift but normal day-to-day volume is fine. Bills are $30 weekly and include *EVERYTHING* -electricity water and gas -internet -cleaner to come through the house once a month -gardener to come once every 2 weeks ... so you need only keep your areas clean and tidy as we all have for the last 2 years. The photos show a queen bed, I made a panorama to show the whole room but it ruins the perspective. The room is about big enough to have 2 queen beds fit in and be 0.5m from two of the walls. There's plenty of storage space in the garage if you have any extra stuff you need to keep, a shelf in the pantry just for you and never any issue finding a park any time of day right in front of the house. 2 minute drive to thornleigh train station - which has unlimited free parking (handy for FIFO), 2 minute drive to ALDI and 5 to Woolies. 8 minutes walk to both Hornsby Wesfield and Hornsby train station according to google maps. 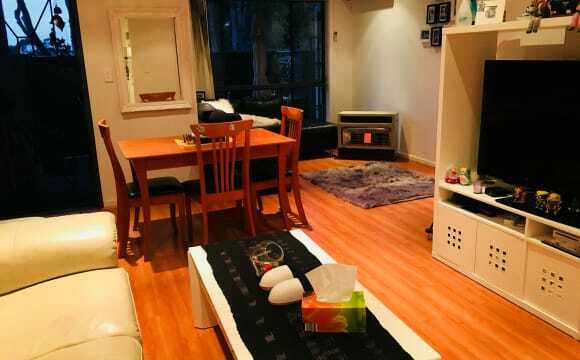 Located in a central position close to Hornsby CBD and two train stations. Well presented throughout with stylish interiors and an easy flow between indoor and outdoor living, this 6th floor apartment offers carefree living. Only moments from Hornsby and Waitara Train Stations, Westfield, Barker College, cafes and local schools. Other Features include: + Gas cooking, stone bench-tops and dishwasher + Spacious combined living and dining + Air conditioning in living room + Mirrored built in robe in bedroom + Large balcony for entertaining + Internal laundry + Security block with lift access + Swimming pool located in complex I have not moved in yet. Can only start showing it furnished after 20th of May.